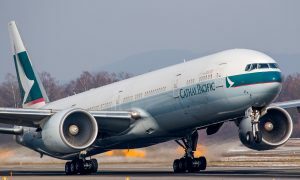 Cathay Pacific Airways announced that it will launch a new four-times-weekly non-stop service from Hong Kong to Boston on 2 May 2015, subject to government approval. 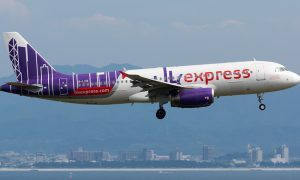 The new service will provide the first direct link between New England and Hong Kong. Boston will become Cathay Pacific’s sixth gateway in the United States, and eighth in North America. 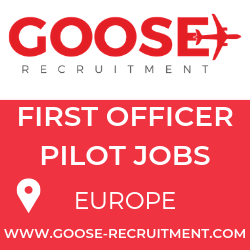 The airline currently serves Chicago, Los Angeles, New York (JFK), Newark, San Francisco, Toronto and Vancouver. 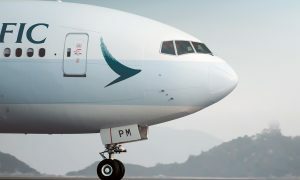 This year has seen Cathay Pacific making a big increase in its capacity to the US with the launch of a daily Newark service, the addition of a fourth daily flight to Los Angeles, and three additional flights per week to Chicago. The Boston service will be operated by Boeing 777-300ER aircraft in a four-class configuration featuring Cathay Pacific’s newly refreshed First Class, award-winning Business Class, new Premium Economy and long-haul Economy Class seats. Complemented by the airline’s exceptional cabin service and on-demand entertainment system in all classes, passengers will enjoy a superior inflight experience when travelling between Hong Kong and Boston. Cathay Pacific Chief Executive Ivan Chu said: “We are very pleased to be able to add Boston to our growing international network. There are strong business, educational and cultural ties between Hong Kong and Boston. We believe there will be considerable demand for a high quality travel experience on this new long-haul route.